NOMINATION APPLICATIONS FOR THE 6TH ANNUAL AFF VETERANS AWARDS ARE NOW OPEN. THE NOMINATION APPLICATIONS WILL CLOSE ON AUGUST 1ST 2019 AT MIDNIGHT. The annual Patriots Award is an award given to a nonprofit organization or individual that has demonstrated positive, measurable impact in one or more of the following areas: combating the unnecessary criminalization of mental illness and extended incarceration amongst Veterans; facilitating access for Veterans to the legal support and justice they, their families, and their caregivers deserve; and combating the increasing rate of homelessness amongst the Veteran community. Nominations for these awards are submitted by completing an application that will be reviewed and screened by AFF membership. Finalists will be voted on by the AFF Advisory Board with Nominees to be contacted by the Executive Director. A total of three Patriots Awards will be bestowed at the 6th Annual Manhattans, Martinis & Mistletoe™ Awards Gala. Awardees are also presented with a grant from AFF and its partners. This award shall be given to the outstanding Active Duty, Reserve or Veteran Athlete of the year who has competed in one of the following AFF Athletic programs: Softball, Shooting or Golf. Nominations for the Patriots Sports MVP award are closed to the public and voted on by the Veteran athletes who participate in AFF Athletics programs. 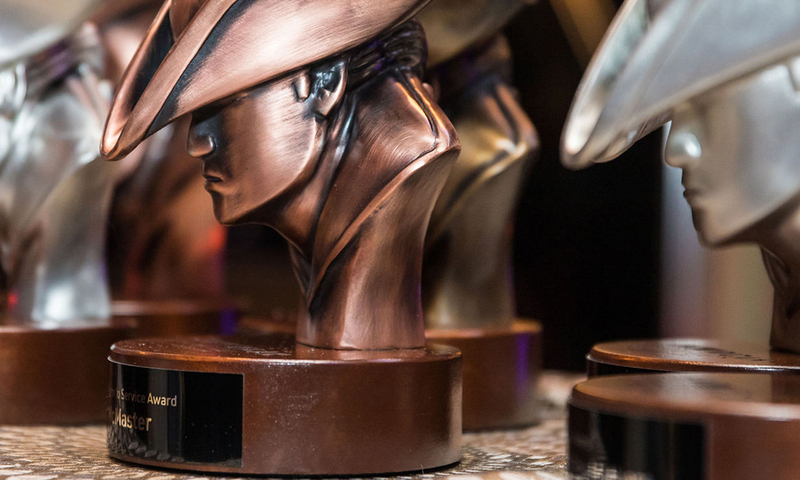 Members of the program will vote to choose the winner of the Patriots Sports MVP of the Year Award, which will be announced during the 6th Annual Manhattans, Martinis & Mistletoe™ Awards Gala. This award shall be given to a Legislator in honor of their dedication to ensuring Veterans receive education, medical care, housing and an overall feeling of security in their daily lives. The care and well-being of our nation’s Veteran community is of paramount importance, and an issue that needs to be addressed and continuously strengthened. The American Freedom Fund seeks to recognize those elected officials who deeply care about our Veteran’s community and the basic need of secure housing within it. Nominations for this award are submitted by the general public, reviewed and screened by AFF membership. Finalists will be voted on by the AFF Advisory Board with Nominees to be contacted by the Executive Director. The awardee of the Legislator of the Year award will be bestowed at the 6th Annual Manhattans Martinis & Mistletoe™ Awards Gala. This award shall be given to an entity that can demonstrate excellence in easing the challenge Veterans face when transitioning from the military to the civilian job force. The awardee shall be an entity that is successfully connecting these two worlds, and aiding military families to attain sustainable and meaningful careers. Nominations for this award are submitted by the general public, reviewed and screened by AFF membership. Finalists will be voted on by the AFF Advisory Board with Nominees to be contacted by the Executive Director. The awardee of the Veteran Employment of the Year award will be bestowed at the 6th Annual Manhattans Martinis & Mistletoe™ Awards Gala. This award shall be given to a Veteran-owned small business whose leadership, innovation, creativity and collaboration have earned them excellent credibility within the Veteran community. The awardee should be focused on improving the lives of Veterans and their families through their services, products, and/or their Veteran and military family job creation and growth efforts. Nominations for this award are submitted by the general public, reviewed and screened by AFF membership. Finalists will be voted on by the AFF Advisory Board with Nominees to be contacted by the Executive Director. The awardee of the Veteran Employment of the Year award will be bestowed at the 6th Annual Manhattans Martinis & Mistletoe™ Awards Gala. This prestigious award shall be given to an individual who has distinguished themselves as a leader while in uniform, and again during their “second service” to our nation after leaving the military. Leadership symbolizes courage, responsibility and service, and the awardee of the Distinguished Patriot Award exemplifies leadership on a daily basis and inspires leadership from those around them. Nominations for this award are submitted by the general public, reviewed and screened by AFF membership. Finalists will be voted on by the AFF Advisory Board with Nominees to be contacted by the Executive Director. The awardee of the Veteran Employment of the Year award will be bestowed at the 6th Annual Manhattans Martinis & Mistletoe™ Awards Gala.